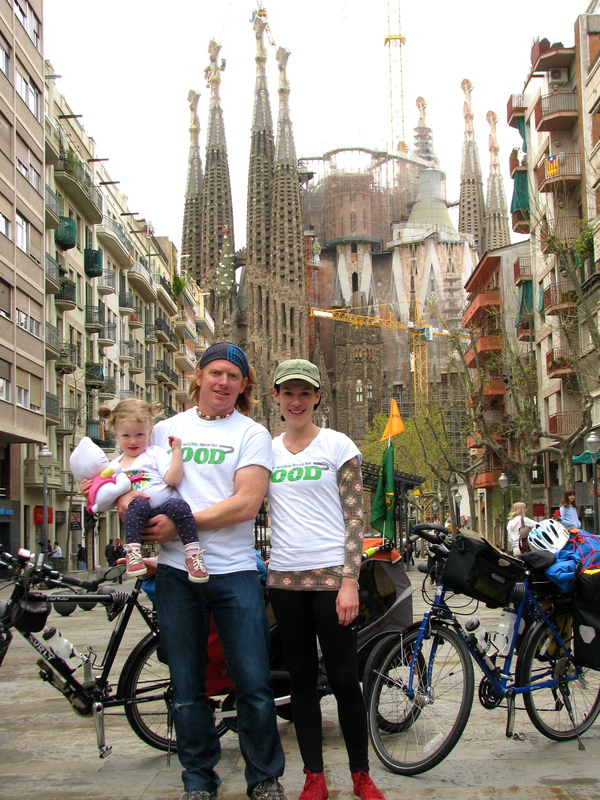 Last year, Aussies Michael and Shoshanna Hindmarsh took their 2-year-old daughter Amaya on a bike trip from Barcelona to the Baltic Sea in Germany to raise support for Clinica Verde. We were awed by both their kindness and adventurous spirit, and wanted to commemorate their experience at the clinic in a special way. Well, we finally put our idea into action – and it’s a wonderful addition to the clinic. Presenting, our Baby on a Bike swing, located in our clinic courtyard. Now, one of the first things visitors approaching Clinica Verde see is children swinging near the entrance. Thanks, Amaya! Poster for our ride – you can click on this and donate if you like. The all important shot in front of Gaudi’s iconic Sagrada Familia. We are both nervous as we set out on what seems like an impossible task even without a 2 year old. To add an extra dimension Amaya has started getting her 2 year old molars. 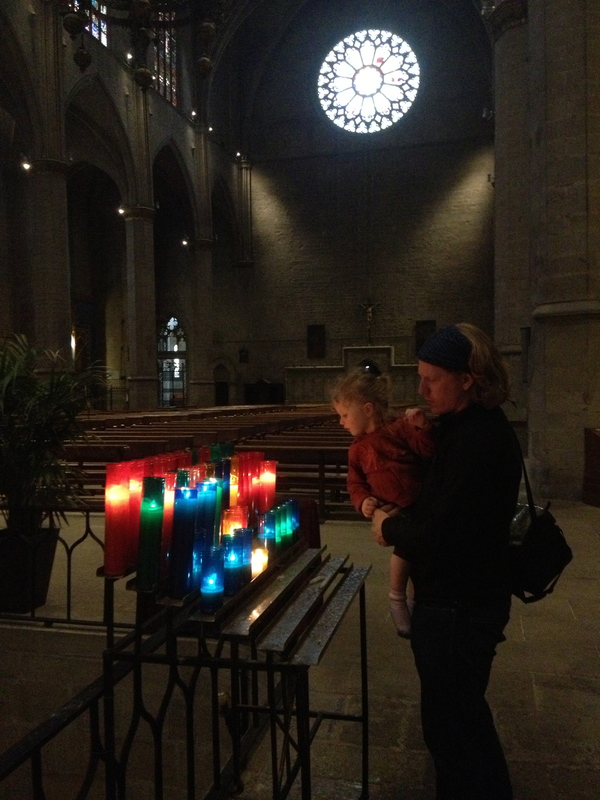 We have had a couple of interesting days with her in Barcelona, which involved a number of meltdowns. Cycle touring is about focusing on each day, on each moment. If one gets too concerned with the big picture, about the enormity of the ride and all the potential problems, then the task becomes insurmountable. So the Baltic here we come – but right now we are going to enjoy this little Catalonian town we are in called Manresa! 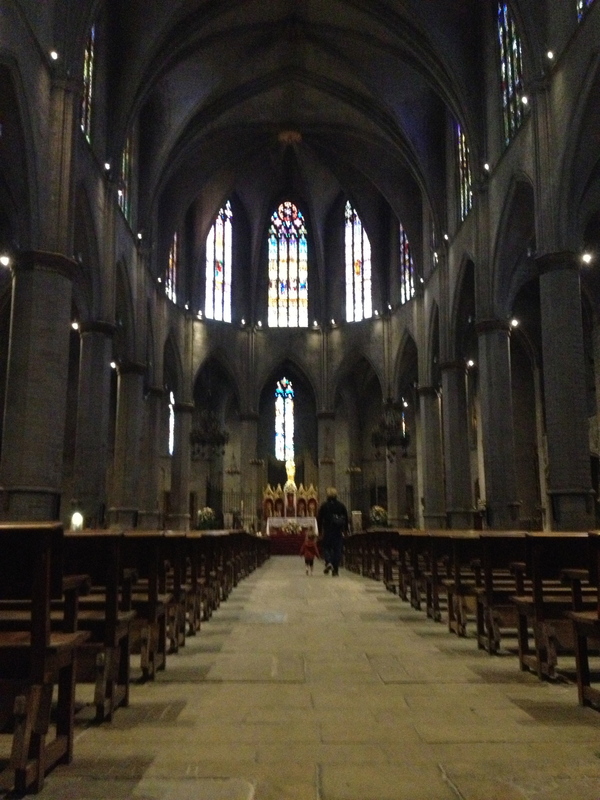 Manresa – Amaya checking out another big Church – Colegiata Basílica de Santa María. She was quick to comprehend the vibe of the place and spoke in whispers the whole time.